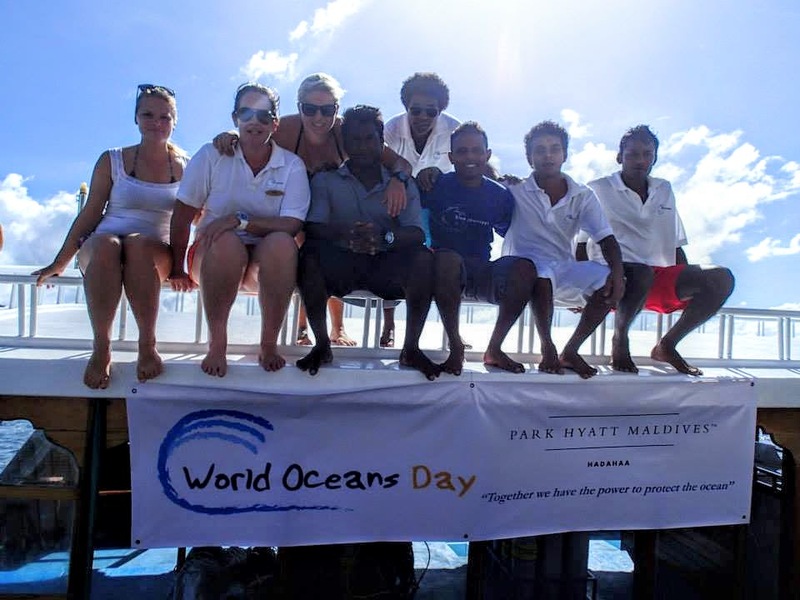 Park Hyatt Maldives Hadahaa showing its passion in the protection of the ocean, made World Ocean Day a significant date in the Hadahaa calendar. 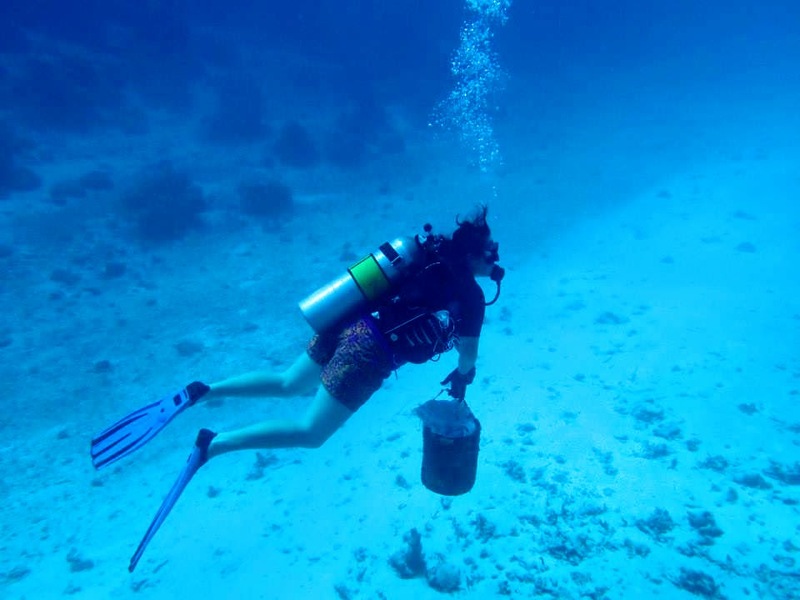 From 1-8th June 2014 the Hadahaa Hyatt Thrive (Hyatt’s global corporate responsibility platform) Team commenced a week long activity plan designed to raise awareness and funds for marine conservation and sustainability. The feature activity is a 30km kayak paddle relay between Hadahaa’s three nearby islands: Dhaandhoo, Kondey and Gemanafushi. It is a well-known fact that the world’s oceans generate most of the oxygen we breathe, regulate our climate, purifies our drinking water, offer a diverse range of potential medicines and provides unlimited ways to use it from leisure to life. Park Hyatt Maldives Hadahaa has created a fund raising page for anyone wishing to support our efforts for World Oceans Day with all donations going to The Coral Reef Alliance. Hyatt Thrive committee visited three local island to discuss ways in which we can protect our oceans for the future. It was interactive workshop with a focus of engaging school children in promoting marine conservation. 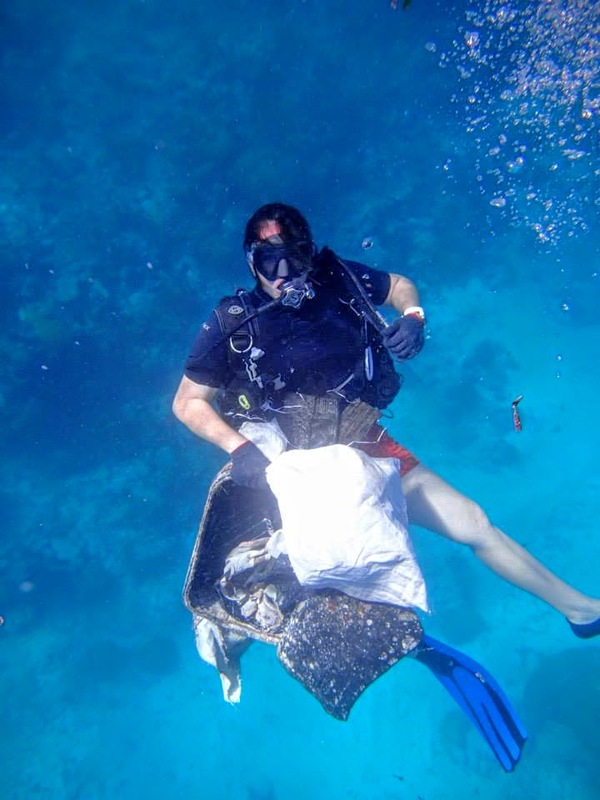 The workshop being specific to Maldives focussed on marine debris and waste management. Within each school a poster competition was held with winning students were awarded a prize to join an exclusive Hadahaa “Journey to Island Creation” with the resident marine biologist. The small coral island of Hadahaa – an isolated island located in the Indian Ocean sheltered from oceanographic conditions and wave forces by the Gaafu Alifu Atoll is accessible to the island by a 60 minute boat transfer across turquoise blue seas. Sitting near the equator, Hadahaa enjoys a tropical climate that is with two regional monsoon periods do occur annually. Lush vegetation covers the island and the coral gardens of the surrounding lagoon attract rich marine life, making it ideal for snorkelling and diving. Park Hyatt Maldives, Hadahaa (previously known as Alila Villas Hadahaa) was the first property in the world to use the EarthCheck Planning & Design Standard. Managed by Hyatt Hotels & Resorts, one of the primary objectives when developed, was to ensure that the resort was planned, designed and constructed in an environmentally conscious manner. Guaranteeing that the resort delivered ongoing ecological performance outcomes in environmental, social and economic terms. Park Hyatt Maldives has also been nominated in the prestigious World Travel Awards in the category of Indian Ocean’s Leading Green Award and remains open for votes.